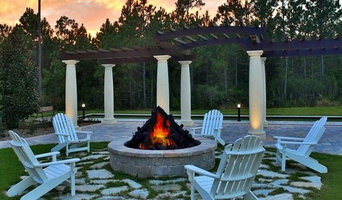 Quality Concrete Design Of Florida is committed to employing highly knowledgeable concrete contractors who have the skills to handle any job in Orlando and the surrounding areas. We're a locally owned and operated company, and our owner is on every job site to answer questions and make sure everything goes smoothly. Buy instagram followers and remember, this is not a simple buying process but also this process will bring lots of exposure to your site. Buy from us.....we provide best services with fast delivery and real users guaranteed. Products & Services This company offers concrete contractor services, concrete driveways, concrete sidewalks, concrete patios, concrete repair, concrete installation, concrete slabs, core drilling, concrete place and finish and other concrete services. Driveway professionals can install, replace and repair concrete driveways, asphalt driveways, exposed aggregate driveways and other paved areas in various materials. Before work begins on a new or replacement driveway or other paved area, an Orlando, FL driveway professional will assess your property’s grade, soil and drainage. They will then help you choose from a range of poured surfaces and driveway pavers, based on your home’s style and environment. Next, they will prepare the site and operate any heavy machinery needed to build the driveway or move pavers – however, construction may not be able to happen until after other contractors have finished. Find a driveway and paving contractor on Houzz. 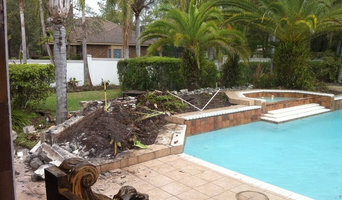 Narrow your search in the Professionals section of the website to Orlando, FL Driveways. 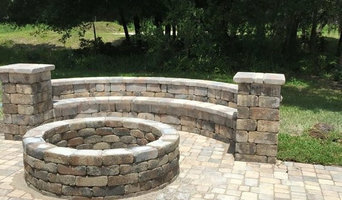 You may also look through Orlando, FL photos to find examples of driveways and paving that you like, then contact the paving professional or contractor who worked on them.